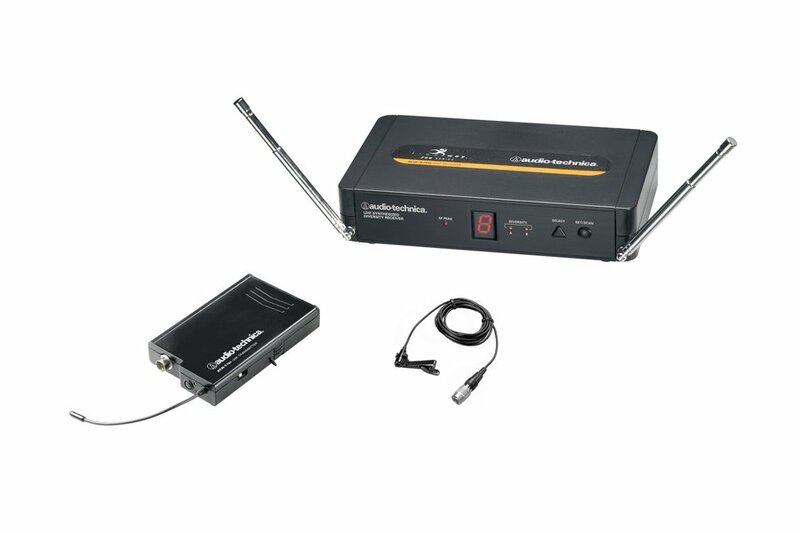 Pricelist : The Audio-Technica ATW-701/L Wireless Lavalier Microphone system includes an ATR700 diversity receiver, an ATW-T701 bodypack transmitter, and an omnidirectional lavalier microphone. The Audio-Technica 700 Series Freeway wireless system delivers professional features and sound quality unheard of in its class. These easy-to-use wireless systems feature eight selectable frequency-coordinated channels, diversity operation for increased range/reliability, automatic frequency scanning, Tone Lock™ squelch and more. For multiple-mic applications, as many as eight systems may be used together. Each system operates on a choice of eight switch-selected frequencies between 542.125 mHz and 561.250 mHz (television channels 26-29).